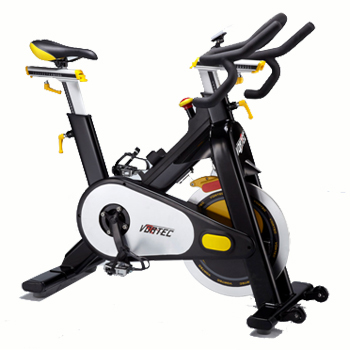 Exercise Bike / Indoor Cycle, M-701SR - Kenny-Joyce Co., Ltd.
A beautiful design with innovation magnetic device, provide a quiet and smooth ride. Alloy construction on handlebar-stem /seat post offers maximum stability and durability. Magnets and an aluminum/steel disk flywheel avoid rust problem. Multi-position racing handlebar design content professional rider needs. Brake/tension control system, easy ride easy use and easy stop. Magnetic bike with racing handle bar.. Fixed wheel, alloy/steel disc wheel, BELT direct drive system.